Please can you tell me in which terminal they arrive in JFK. Is two hours enough time to collect luggage, get new ticket,go through tsa on a Sunday morning? I'm coming in on a domestic flight and have a separate ticket for an international flight to France. Yes you should be fine with 2 hour between the flights. Im flying out from terminal 4 via singapore airlines, is it possible to buy la mer products at dfs in terminal 1? 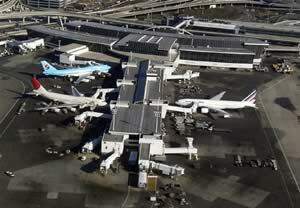 Hi I will be taking a flight from DC and arriving at JFK at 7:10am terminal 8, in order to fly to Casablanca, Morocco. The Morocco flight departs at 9:05am, from terminal 1. Will 2 hours be enough time to get my bags, go through tsa and board flight at 9:05? 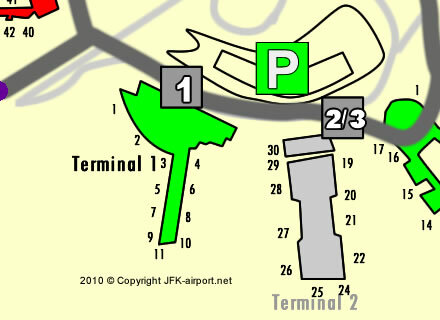 Also, can it take an air train from terminal 1 to terminal 8? You should have enough time to connect with 2 hours. Yes you can take an air train from T1 to T8. I fly from Moscow to JFK (flight SU102)and then to Las Vegas (DL1729). Do I need to transfer my luggage from one flight to another by myself? And if yes, where and at what moment it should happen? Yes you have to do it yourself and it is right after clearing Customs. No you cant. Take any train on track 2 from T 1 to T 7. It is free and easy. My husband is arriving at JFK T1 and I am arriving at JFK T3 20 min later from London. a/ How can he get from T1 to T3 and how long does it take? b/ Where is best to meet at T3? 1. Take an air train on track 2 from T1 to T3 it takes about 2 minutes.